Note: From 2nd July 2018 onwards, SEBI has made it mandatory for both SPAN and exposure margin to be blocked in order to take and carry forward an overnight position. If it isn’t, margin penalty will be applicable. Click here for the circular from NSE. Your broker will now block both Span & Exposure margin. In some parts of India some brokers used to block only Span margin, so this rule was made. Now every derivative trader is on the same platform – earlier some traders had an advantage of paying less and making more but losing the same. Now they will also have to pay the same money (margin block) to trade futures and sell options. 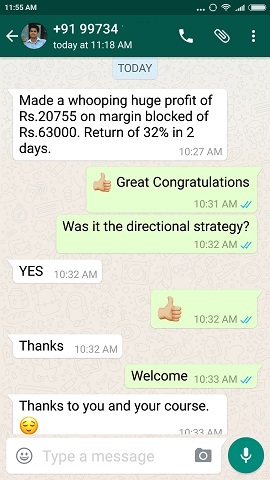 But according to the new rule if your account is going in the red (loss a.k.a MTM (Mark To Margin)) then at end of day your broker will block more money to make sure FULL Span & Exposure margin is blocked again for the position to continue overnight. But if your account does not have the money then you may have to pay a margin short penalty, and the risk management team may close the trade without informing you. 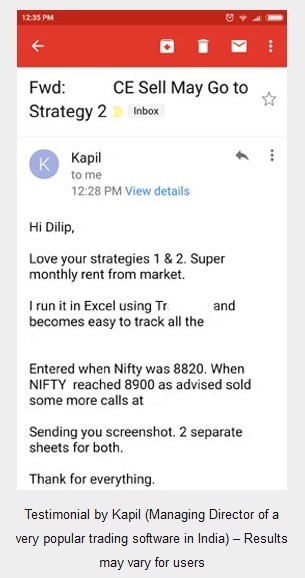 Whatever new rules are being made they are forcing retail traders to either hedge their positions in derivative trading (which DIIs and HIIs always do) or stay out of the stock markets. Hedging is getting more important than ever. First lot size increase, then full SPAN and Exposure margin and then from Oct, 18 trading allowed from 9.15 to 11.55 pm. Without hedging you will not be able to survive in the markets for long. As per SEBI regulations, margin shortage penalty is levied on overnight positions held in the trading account without sufficient margin. Please note that both SPAN and Exposure margin will be taken into consideration. Earlier only SPAN margin was taken into consideration for margin short penalty, but from July 2018 onward, both SPAN and Exposure margin will be taken into consideration. Note that For intraday positions (day trading) shortfall margin penalty is not levied. It is levied on Equity Derivatives, Currency Derivatives, and Commodity derivatives segments. (For currency derivatives both the SPAN and exposure margins have to be maintained, if not margin penalties will be applicable). Both SPAN & Exposure margin will be blocked. Let say you buy a future and your broker blocks SPAN & Exposure margin of 60,000. Assuming its a NRML (overnight carry forward position) and by 3.15 pm your MTM is 3000. Now the system will check if your account has 3000 or not. Let say your account has 3000 – then fine – I think that money will also be blocked. What they are trying is that both SPAN & Exposure margin should be there in your account else you pay a fine. Suppose there is a shortage of 3000 by the end of day, then either your RMS will close the trade or you have to pay a penalty. But in some cases it gets difficult for the RMS to close the position as there may not be any liquidity – in that case you will have to pay a penalty. For less than 1 Lakh margin Or less that 10% of applicable margin short per day, penalty charge of 0.5% on the short money per day. Next day if you make a profit it does not matter – you will still pay the margin short penalty. For margin short equals to Rs 1 lakh or more Or equals to 10% of applicable margin, penalty charge of 1.0% on the short money per day. Make sure you have extra money in your account so that you never pay a penalty. Keep at least Rs. 20,000 extra. And make sure your MTM never exceeds 50% of it – that is 10000. This will ensure you never pay a penalty and your broker does not close your tarde without informing you. Or, hedge your trades so that MTM is ever is very small. Hedging is better because the trade NEVER sees a big loss ever. Hedge ensures the losses or MTM if at all are small. Since the whole account MTM will be taken into account the MTM money can be reduced to 5k for small accounts. The Best way to keep your MTM (Mark To Margin) low in your trading account is to do hedging. If you hedge your position you may never see an MTM (Mark To Margin) over 5000 and you will escape the margin short penalty by just keeping 5000 extra in your account. This is huge money saved. 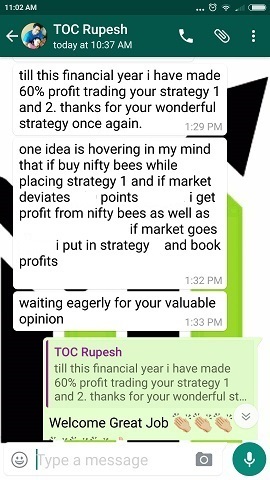 You can learn hedging strategies in my course. For more information you can contact me. Hedging also ensures you can sleep peacefully in the night without worrying what will happen to your account the next day when markets opens. 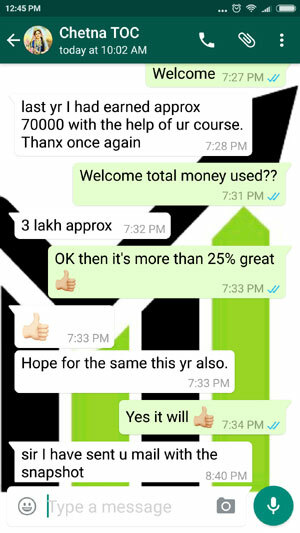 My course teaches proper hedging in options, futures and equities. Moving forward it is very difficult to survive in this market without hedging your trades. Call is yours. You can do my course and learn proper hedging strategies to make a monthly income. Stop taking losses now. Hope that helps – to save this margin short penalty keep at least Rs. 20,000 extra in you account and DO IT TODAY. I am trying to save your money and do not want you to pay a margin short penalty.